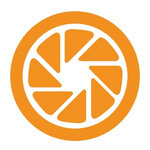 Orange Studios provides its customers with top of the line photography and photo-journalism. We know that those heartfelt, candid moments are just as important as the perfect portraits on your special day; Orange Studios always uses multiple photographers for weddings and other large events. This ensures that we are able to capture all of the action, from every angle, and that those sweet memories will be preserved forever. At Orange Studios we have an exceptional eye for detail, so your photos come out flawless. And, of course, we shoot every job with the utmost professionalism, coupled with lots of patience and smiles. Your satisfaction is guaranteed! Get more for your wedding! Don't forget to mention ChossonKallah.com when visiting Orange Studios. It was so nice working with you, and thank you for your great service and expertise. You are an amazing photographer! You captured the atmosphere in our party and we liked your artistic angles. We will defiantly hire you for our son's Bar Mitzvah too!